Addressed to veterinary technicians, agronomists, consultants, etc. Allows Environmental Product traceability and the right environmental management of its facilities, allowing you to optimize processes and obey the current legislation. Sistema Guals® is an Agrifood Software has been more than 30 years covering the IT needs of production and costs, to small, medium and large businesses. The System covers the traceability in the food industry from field / farm to final consumer, with the aim of achieving a safe food supply and meet the legal safety requirements (European Traceability Legislation). 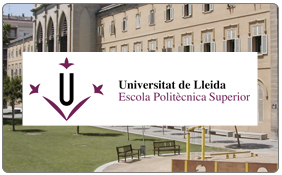 Sistema Guals®, in collaboration with Universitat de Lleida, offers its users a new service analysis of production costs of its exploitation, and compare them with the sector. The analysis will allow us to detect opportunities for improvement of operation and thereby obtain an improvement in economic performance of your company..